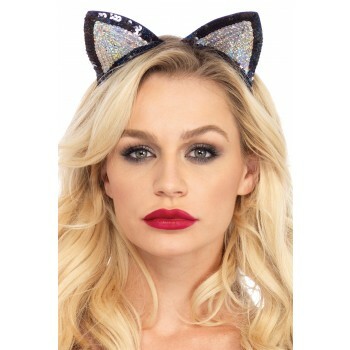 Add some sparkle to a traditional cat costume with these silver sequin cat ears with black sequin outlines! Meow! 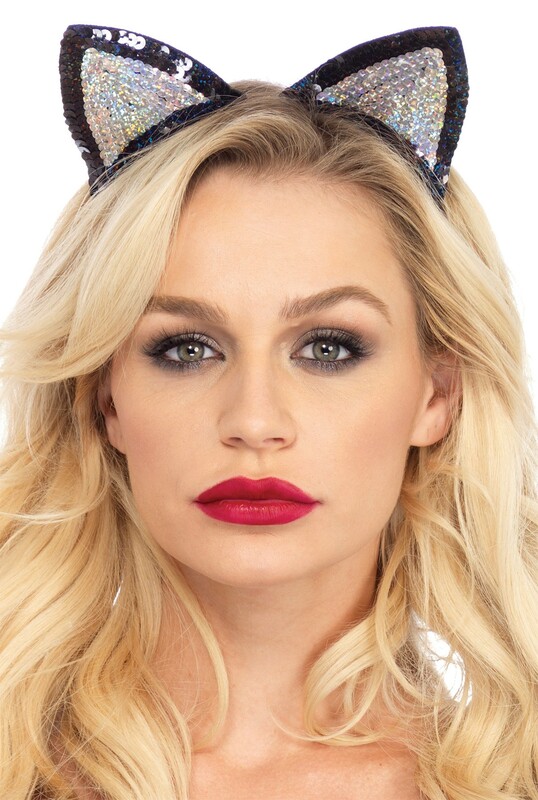 Ears are attached to a headband. One size fits most.